Mommy Playvocate, Isha Borromeo joins her son, Sky and Melai Cantiveros’ daughter, Mela for the Body Coordination zone. Manila, Philippines – This year Johnson’s Baby brought parents and kids alike a bigger than life run of its annual Play Days program – an effort that was created in 2012 that brings to light the importance of play in children’s learning. 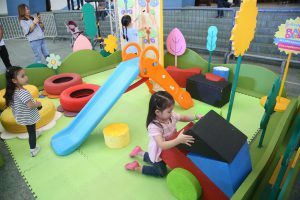 Year on year, Johnson’s Baby has made it their mission to make playtime more meaningful and this time, putting focus on the idea of Play to Learn (Sa Laro Natututo). 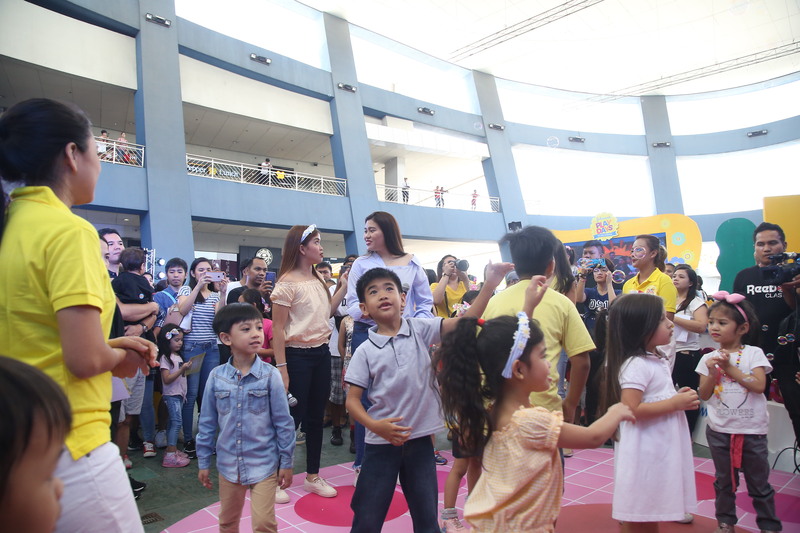 Last March 24, 2019 in the SM Mall of Asia Music Hall, JOHNSON’S® launched Play Days 2019: Sa Laro Natututo – an effort that acknowledges the importance of play and how it can benefit your children. Different play zones at the event like the Blue Think Tub, Pink Showdance Zone, Yellow Imagiland, and Free Play Teamwork Zone truly made the learning experiences into entertaining adventures for all the wide-eyed toddlers present. The Teamwork Zone featuring Johnson’s Baby Powder Summer Blossoms where children could interact with others and learn how to communicate better through play. 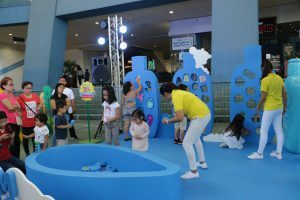 The Blue Zone – the area of the event where Johnson’s Baby Active Fresh Line was the highlight and where kids could practice their problem-solving skills. 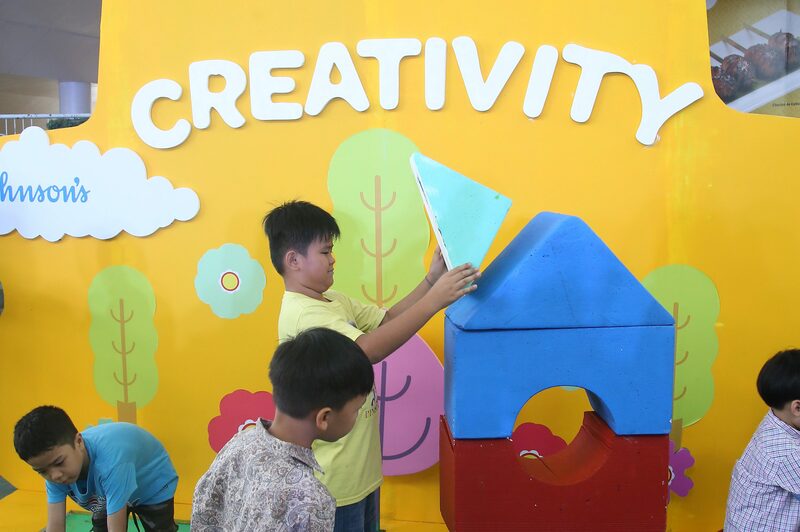 The Creativity Zone – the area of the event where kids could create their own dream house and let their imagination loose. It also featured Johnson’s Baby Happy Berries and Slide cologne. The Pink Zone was dedicated to helping kids with their body coordination by having a quick round of dancing. It featured the Johnson’s Shiny Drops shampoo and conditioner. 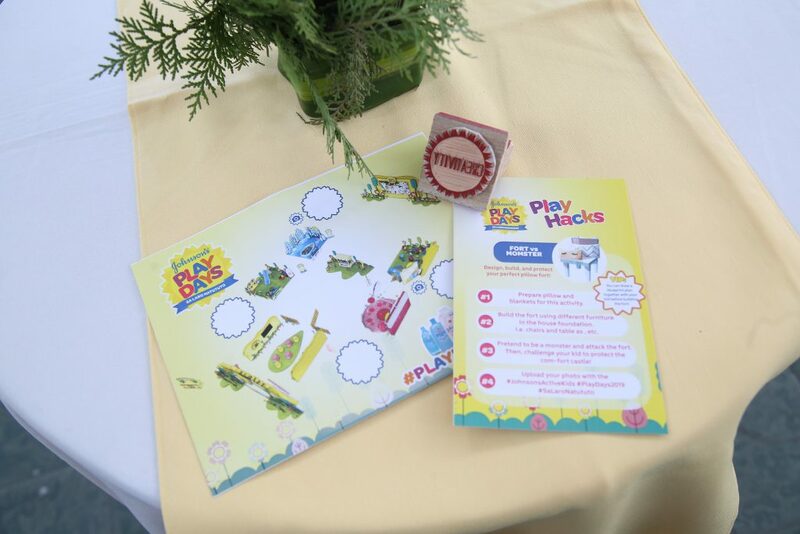 Guests were given different play hacks in each play zone to give them tips on how they can bring the fun at Play Days 2019 to their homes. These four zones highlighted how a child can learn different skills like problem-solving, self-expression, communication, and flexibility. It was also in each play zone that guests were given various play hacks on how they could bring home the fun that they experienced in the event. With summer fast approaching, moms and dads need a hero that will keep their little ones fresh during play time. Johnson’s Powder Blossoms is the answer to keeping them smelling fresh for up to 8 hours along with Johnson’s Shiny Drops Shampoo making their hair beautifully soft and shiny. Play time continues with Johnson’s adding to the fun by launching their newest limited-edition Powder, Summer Blooms. This is the most fragrant powder that mommies and daddies will love when the summer heat comes creeping in. “We have noticed that gadget time has replaced play time for a lot of parents and kids. However, it is actually during play time that children build many foundational life skills they need. We want to bring the fun into learning with an event that teaches parents how play time can be enjoyable and educational as well. 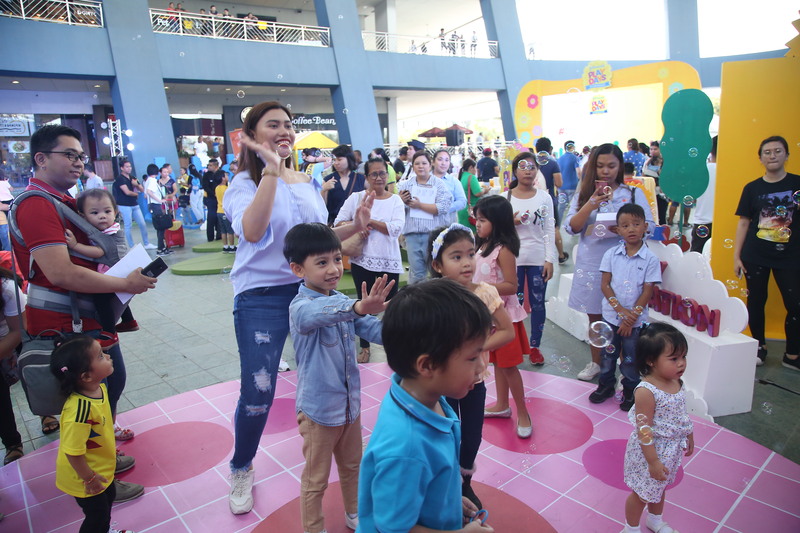 We also made sure to give them various tips that they can do from the comfort of their homes, so the fun does not stop with the event.” Said Senior Brand Manager for Johnson’s Baby, Aldellyn Po. Parents are encouraged to make sure that they allot enough time to play to promote cognitive, language, physical, social and emotional development. 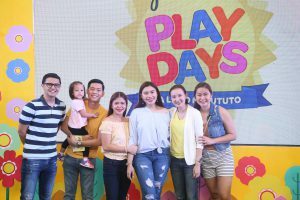 The Johnson’s Baby Team joined by Mommy Playvocates, Isha Borromeo and Melai Cantiveros to launch Play Days 2019. “To a child the world is a huge playground where they can create and imagine anything they want. What we at Johnson’s want to highlight is that playing doesn’t end at fun. It really is about learning through active play where they can gain skills like teamwork, creativity, problem solving and body coordination,” added Aldellyn Po. Johnson’s Play Days Sa Laro Natututo is a call for all parents to recognize the importance of your little one to be outside experiencing life actively instead of being confined to a world they only see through any digital screen. Active play allows your children to learn firsthand about the ever-changing world and gives them the opportunity to have a multi-sensory understanding of the beautiful planet they live in. 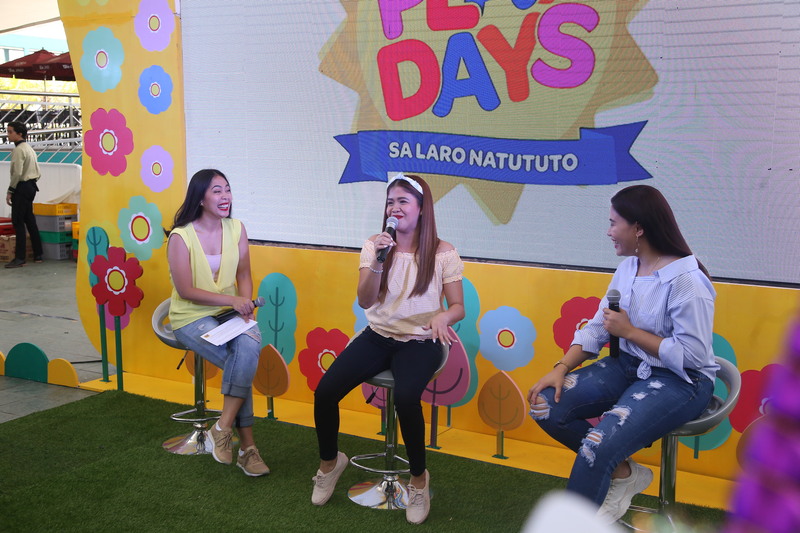 Mommy Playvocates, Melai Cantiveros and Isha Borromeo talked to the guests about the different tips they had when it comes to playing and helping your kids learn through it. Let’s join Johnson’s in this movement and see how free, active play will change your little ones and help them become the person you always dreamed for them to be. Sound off by posting a photo of yourself and your child during your happy play time moments and how Johnson’s Baby is the Presko Bango partner. Use the hashtag #SaLaroNatututo #JohnsonsActiveKids #PlayDays2019 and tag @johnsonsbabyph. JOHNSON’S® Baby™ Active Kids Range are available in leading supermarkets, drug stores, and department stores nationwide.